Keeping a clean home can be challenging, especially when kids, pets and full-time jobs are thrown into the mix. Whether you're a young, single adult starting out in your first apartment or you're a busy mom trying to balance a career, three kids, a hubby and your checkbook, the key to keeping your home clean is good organization and consistency. These areas can often turn into unorganized storage areas where junk and clutter can quickly build up. As one of the most heavily used rooms in the home, the kitchen can quickly get out of control without the proper organization and frequent cleaning. An organized kitchen is essential for a functional cooking work space. Kitchen cabinet organizers can help you find ingredients and spices quickly and easily. Recipe organizer software can help keep kitchen drawers clean. Learning how to organize kitchen cabinets will keep counters free of extra clutter. Once the kitchen is organized, you can focus on bringing out the sparkle and shine by cleaning your stainless steel appliances and cookware. Clean your stainless steel sink and give your stovetop a detailed cleaning often. Frequent cleaning of small appliances such as coffee makers will keep these items looking great and functioning properly. The tasks performed in this room require deep and thorough cleaning to keep this environment free of germs, mold and mildew. Bathtubs and showers are very damp and moist areas that can become prime breeding grounds for mold and mildew. Cleaning the shower and/or bathtub at least once a week can prevent mold from growing. However, if you do find some, ordinary household bleach can effectively kill mold growing in your bathroom. Occasional deep cleanings of things like the inside of the toilet tank or bathtub jets can easily get overlooked. 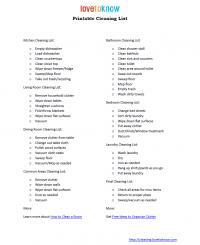 A weekly and monthly cleaning cheat sheet can come in handy to prevent cleaning oversights. 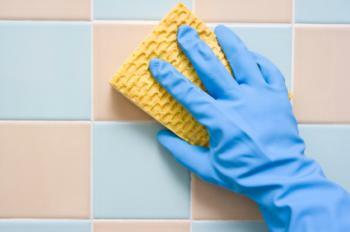 Regular cleaning of the floors in your home will accomplish two things. Clean floors help the overall environment in the home appear cleaner because floors occupy such a large surface area. Frequent cleanings force you to remove things from the floor that don't belong there, such as dirty clothes, scattered shoes, trash and random objects that fall without being picked up right away. Carpet is one of the most difficult types of flooring to keep clean. Learning products and techniques for different types of stain removal can help. However, more than any other type of flooring, carpets can act as giant dirt traps as dirt, debris and odors get caught deep within the fibers. 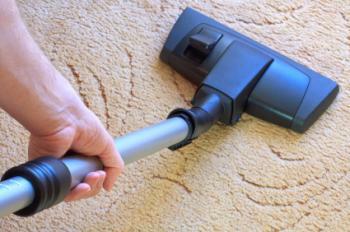 Depending on the traffic in your home, carpets should be vacuumed once to several times a week. Stains should be treated and cleaned as soon as they happen. Floors with hard surfaces are typically easier to clean but also require specialized maintenance to keep them looking beautiful. If you have hardwood floors, learn what type of products work best for cleaning hardwood, including natural or homemade cleaning products. Two of the most durable and easily maintained flooring surfaces are ceramic tile and natural stone. Although typical cleanings on tile and stone floors are relatively easy, deep cleanings that include cleaning the grout are occasionally necessary as well. Keep yourself cleaning regularly by creating a cleaning schedule that will help remind you when certain tasks need to be done. A cleaning schedule can also help you keep track of what you've already cleaned and how long ago it was done. A yearly deep clean of your home is never a bad idea. Spring cleanings provide the opportunity to clean out and organize closets, donate old clothes, clear garbage and junk from the garage and perform annual cleanings of things like fireplace chimneys, air ducts, windows and septic systems. Spring is also a good time to venture out and spruce up outdoor living areas. Get patio furniture and barbecue grills ready for warm weather entertaining. Put the finishing touch on cleaning with activities like polishing silver, cleaning collectibles, removing bad odors and removing rust when needed. 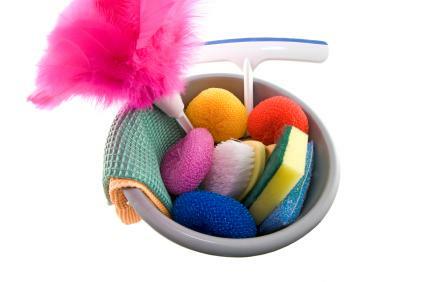 A clean home will be a great reward for your hard work!